I was looking through your Goodreads profile, and I noticed that you’ve contributed to lots of anthologies. Tell us a bit about writing a short story versus a novel. I started out on the short story train to gain a bit of publisher momentum and experience. I think it can be a bit much for some new writers to simply delve straight in to a 100,000 word manuscript first off the bat. By writing short stories, I not only built up a CV of published work, but also learnt how to: plot, create dialogue, pace my work etc. on a smaller scale. Personally, I'm also a very impatient person and at least with short stories you go from idea to publication in a much sorter space of time. Tell us about your main character in Bad Blood. Who is Britannia? The premise for Bad Blood is so intriguing! What inspired it? I tried to find a vampires VS zombies book to read. 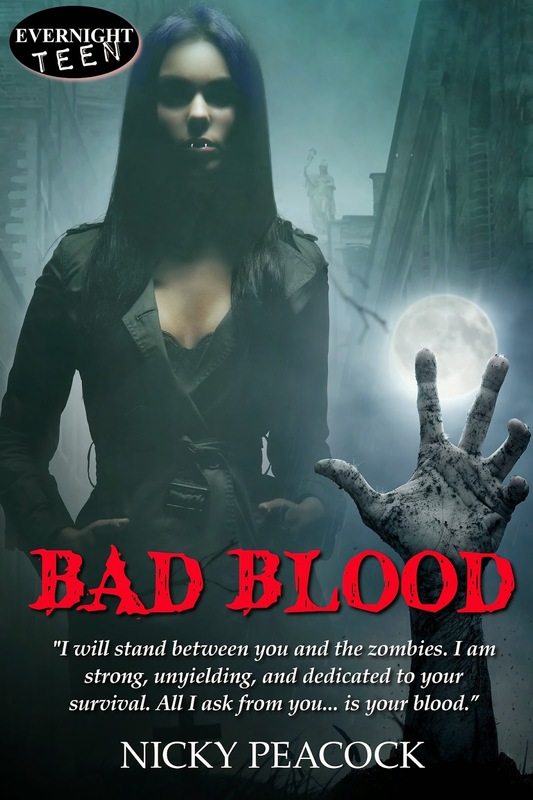 Although featuring together in certain urban fantasy series, I couldn't really find a book that covered the story I wanted to read, namely vampires fighting against a zombie apocalypse - so I decided to write it myself. How do you like your heroines? 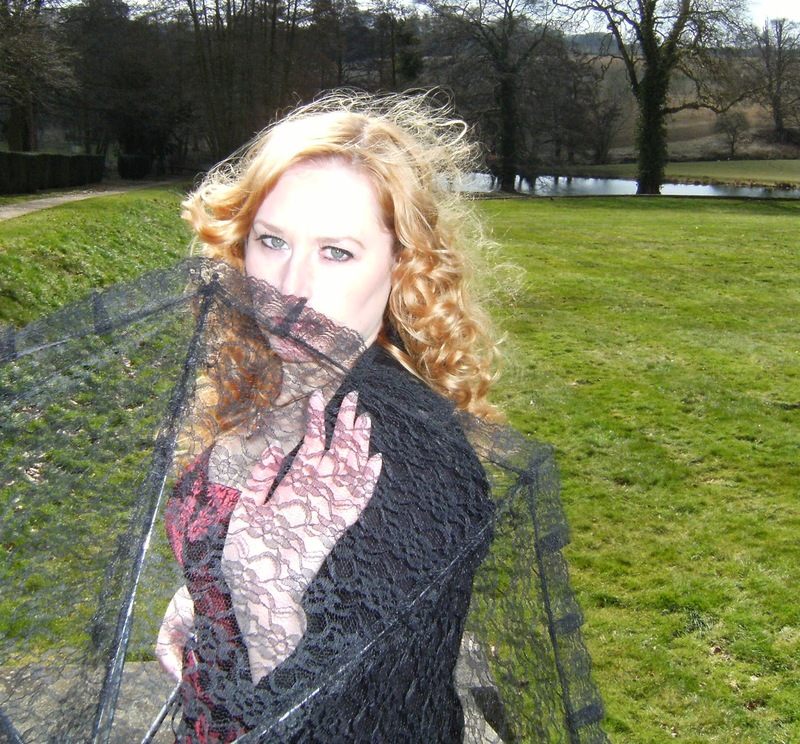 Damsel in distress or damsel causing distress? I'm not sure I like the concept of damsel in distress, I much prefer my heroines to get off their butts and save themselves, along with any innocent by-standers, whilst causing as little distress to others as possible! A few experiences here and there - but I've never really been sure that it wasn't my over-active imagination. There was one time, when I lived with my parents I was walking down the street and saw a man in a bright red jumper staring out of his window at me. I stared back for a bit (I never back down from a staring contest!) and he seemed to fade back into the window. I shook it off thinking he was just some bored bloke, but when I mentioned it to my mum, she told me that the house I saw him in was empty and that the man who had lived there had died last week - apparently he always wore a red jumper. If you could visit any fictional place, where would you go? Hogwarts would be a lot of fun - but I think I'd go for Fangtasia from the Sookie Stackhouse books so I could drool over Eric Northman for a bit! What is your favorite paranormal creature? Why? There's soooo many to choose from! At the moment I like the idea of a Were Dragon - breathing fire, virtually unbeatable in a fight, and dragons always end up with piles and piles of gold! What is the best piece of writing advice you’ve received? The worst? LOL - I've heard a lot of bad writing advice! I run a writers' group in the UK and there always seems to be someone giving their opinion on the publishing submission process and the way in which a writer should express their voice. The very worst piece of advice I heard was not to identify the genre you are writing in for fear of pigeon holing your work, which is ludacris, genres are there for a reason! The best piece of advice was from my mum. Before I was published, being an author was a fingertip dream (you can just about reach for it, but never grasp hold of it) I was having lunch with my mum one day and I complained to her that I felt like I'd never going to achieve my dream, she told me to 'get on with it' (she did use a rude adjective too) she said, 'if you want it bad enough you'll keep working till you get it.' and I did. What must you have handy for a productive writing session? Chocolate, my MP3 player and a laptop. I'm a simple girl at heart! I think you have to have a broad outline of a story before you start - or how do you know where you are going? I think the key is to be flexible whilst writing and let the story evolve naturally. Any advice for new writers dipping a toe into these shark infested waters? Try the short story market first - there are plenty of publisher call out sites out there, but don't get obsessed with them (like I did) once you've sold a few move on to longer work. Also research the publishers you are submitting to; check to see if there are any disgruntled authors still waiting for payments or if their front covers look like they've been designed by a chimp with access to Shutterstock. Also, once you've got that great publisher in your sights, make sure you follow their submission guidelines to the letter - we'll never know how many great manuscripts went straight into the slush pile because they didn't use the right font! I guess I’ve always been a storyteller, not in a ‘liar liar pants on fire’ kind of way, although I do work in advertising! When I was little, kids would crowd around me in the playground and I’d tell them tales of blood soaked horror filled with vampires, werewolves, ghosts and more. Yes, most would consider me a disturbed child, but my playmates couldn’t help themselves, they’d huddle around me every break time like an ancient tribe feeding off the fear; and that’s how I learned that horror stories hold a certain power, no matter what some might say, everyone is addicted to a good scare, especially if it is somewhat rooted safely in unrealistic beings… or are they unrealistic? Writing was really a natural progression. Right now I’m obsessed with writing: a YA Urban Fantasy novel, a Paranormal Romance novella series, and several short horror stories! So I’m currently living in a functional fiction coma – and loving it! I’ve so far been published in 5 countries: USA, UK, Australia, Ireland and Canada and had short stories included in 40 anthologies with over 17 publishers.